This is my own version of a recipe from Cooking Light. My Tex-Mex/Southwest (whatever you want to call this Americanized cuisine) kick continues with another healthy option. 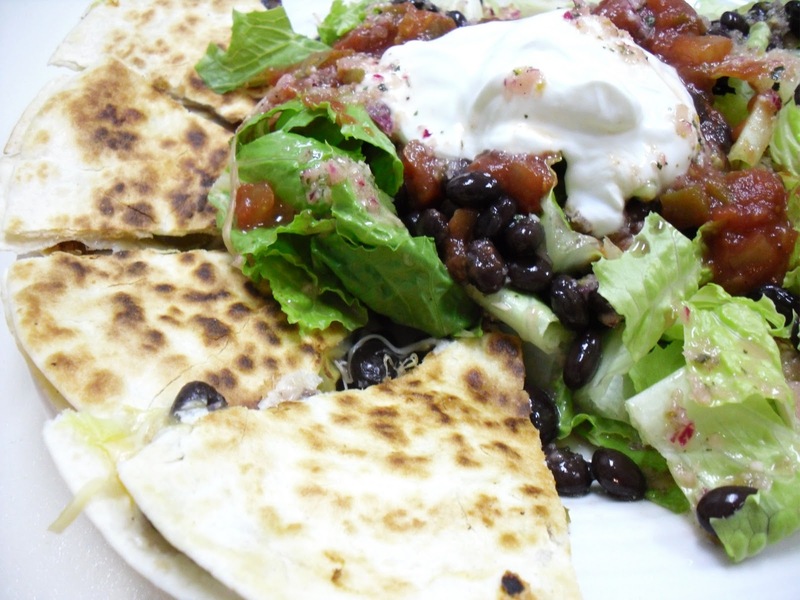 We've already discussed how black beans are high in fiber and protein, so here's another recipe showcasing them in two ways: in the quesadillas and as a topping on the salad. 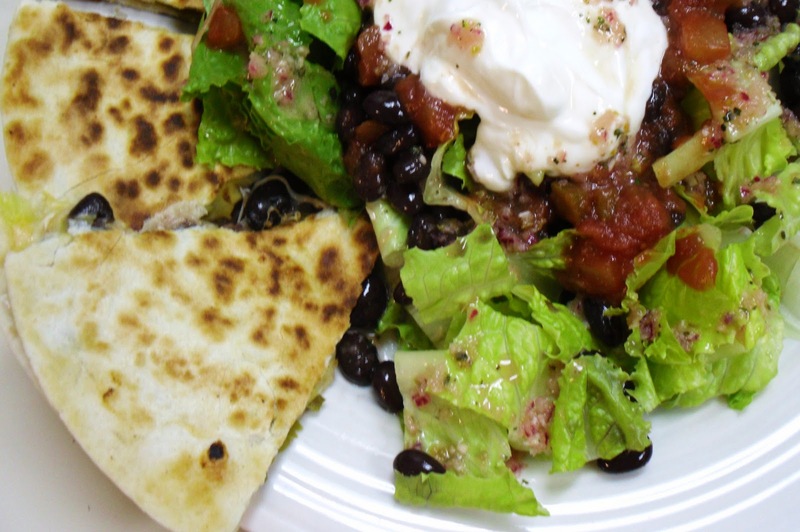 As it is, this recipe is vegetarian, but a protein such as chicken or shrimp could easily top off this salad or go inside the quesadilla. Making your own dressing may seem a little intimidating when it doesn't call for a four seasons italian packet, but I promise this recipe is very easy with the use of a mini food processor. Serves about 4 hungry friends or family. Like the turkey tacos, I really enjoyed Dry Riesling with this meal, such as Pacific Rim. However, if you're in the mood for red, I would elect for Merlot or Pinot Noir. Now, are you ready? The three recipe breakdown is coming! 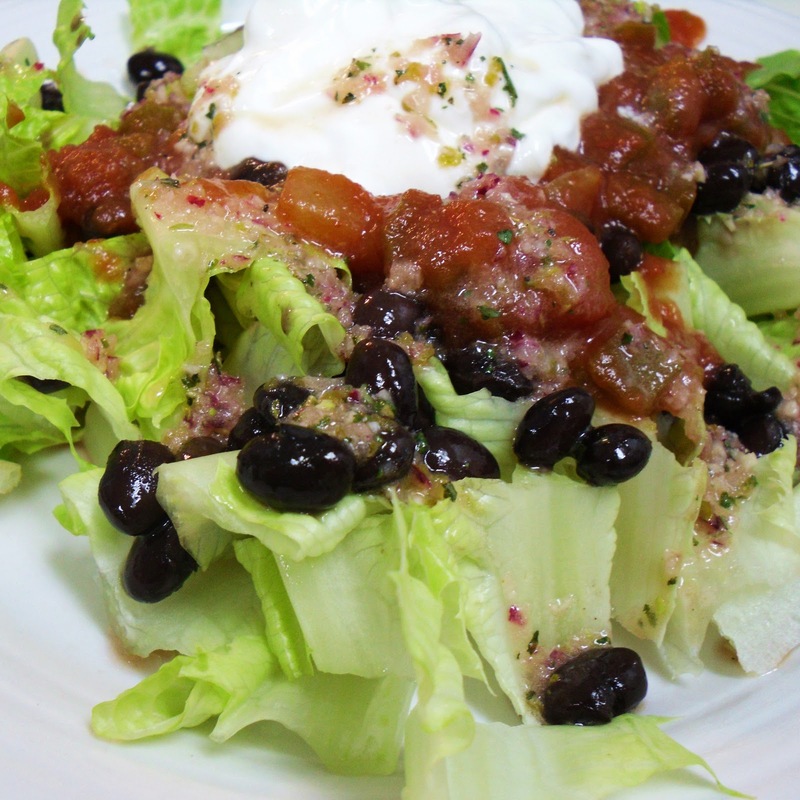 I recommend starting with your dressing so that the flavors have time to meld as you prepare the rest of your food. 1. Add lime juice, garlic, onion, jalapeno & juice from jar, and cilantro to food processor. Pulse until finely diced. 2. 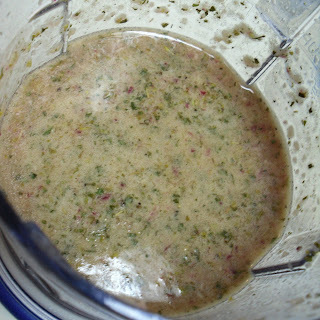 Add vinegar, olive oil, cilantro, oregano, and pepper to food processor and pulse until minced and well combined. 3. Store in tight container. 1. Heat 1-2 tablespoons oil in a large skillet over medium heat. 3. Place another tortilla on top. Allow to cook on one side for about 4 minutes or until golden brown and crispy, then carefully flip over and cook for additional 4 minutes. 4. Remove from skillet and allow to cool for at least 5 minutes before slicing into 8 wedges. 5. 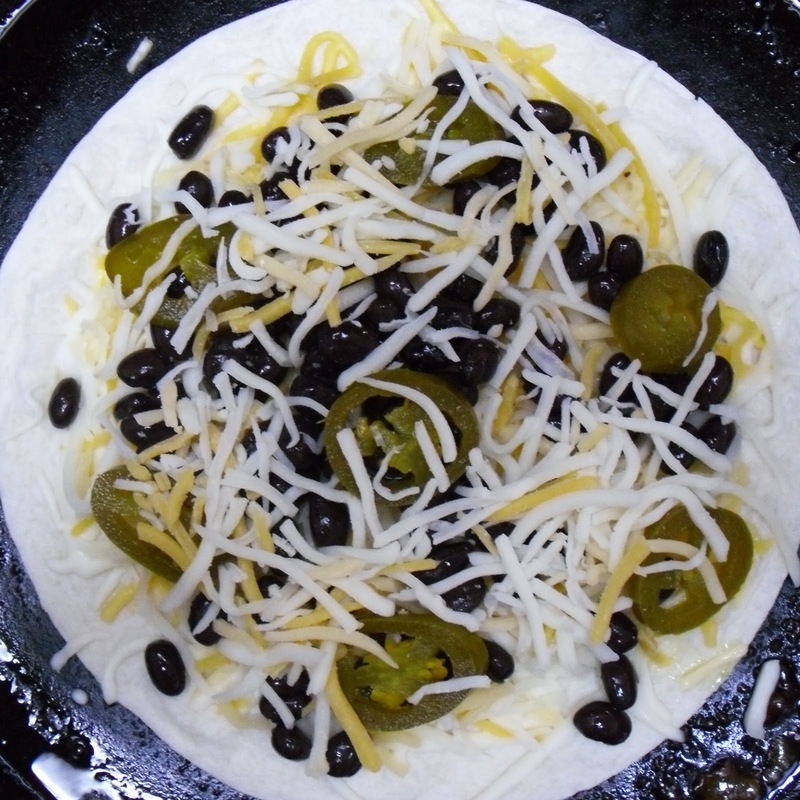 Repeat steps to make one additional quesadilla, which also gets sliced into 8 wedges for a total of 16 quesadilla wedges. 3. Serve each salad with 4 quesadilla wedges. Wow! 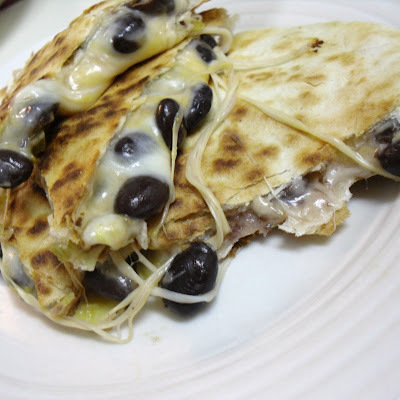 Nice recipes here...Here in Brazil we use much black beans. We have a dish called "Feijoada", a tradicional dish wich all like so much. Congratulations for your blog. I'm his new followwer. Please, come on to visit my blog too and enjoy it. Kisses.